A bit of a novelty coincidence story, which I hadn't noticed before this week. Simply put: The USA business man Armand Hammer (1898 to 1990) became a director of the company Church and Dwight - who just happen to be manufacturers of Arm and Hammer products. I don't think I've ever heard of Armand as a Christian or first name previously. Hammer said that his father named him this after the character, Armand Duval, from Alexandre Dumas novel La Dame aux Camélias. But another version of his first name is that it originated from the arm and hammer graphic symbol of the Socialist Labor Party of America (SLP) - in which his father had a leadership role. But that in itself would have been another coincidence as the the Arm and Hammer products also have a very similar symbol - as can be seen below. 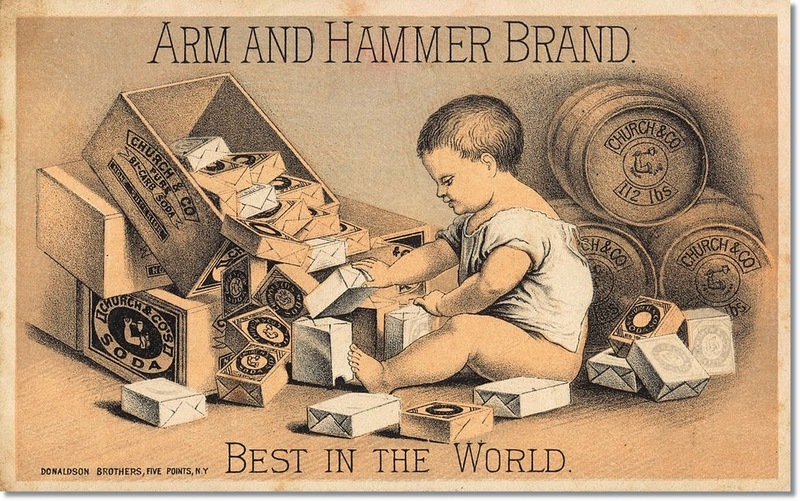 The Arm & Hammer product symbol was being used prior to Armand Hammer being born. The card at the top of the post dates back to 1870. 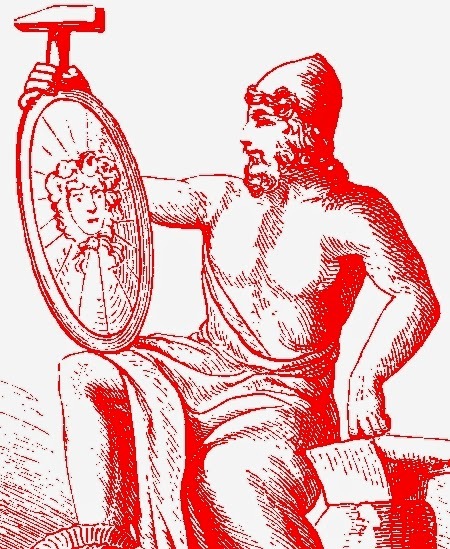 According to the company, the Arm and Hammer logo represents Vulcan, the Roman god of fire and metalworking - that's him on the right. 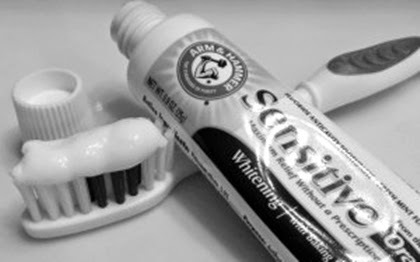 I don't know much about Arm & Hammer products other than we have a tube of their toothpaste in our bathroom cabinet. I use that toothpaste! The coincidence of his name and the name of the company is amazing, and those symbols. Great synchro! His name is unusual, for sure. The logo of the political party and of the product look identical!